As part of my research for the recent Servant Leadership Online Training Summit, I reviewed scores of servant leadership books and resources. I was humbled by the accumulated wisdom in all of them. When my colleagues asked me to put together a list of my favorites, it was hard to pick just 10! But I put together this list as a resource for anyone interested in deepening their understanding and practice of servant leadership. Some books I chose because they set a basic foundation, others because they are full of practical advice, and still others because they espoused servant leadership concepts without calling them by that name. And note that although my organization Berrett-Koehler Publishers has published many books on servant leadership, I did my best not to stack the deck—this is my list, and mine alone. 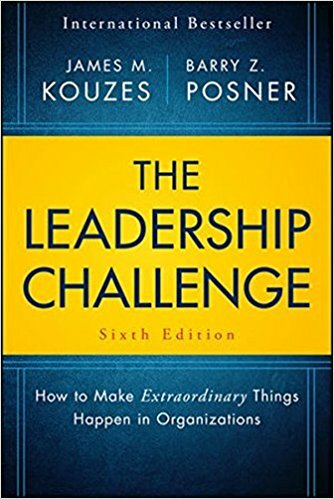 This is the little book that started it all (at least in the 20th century), challenging conventional wisdom about what leadership was all about. 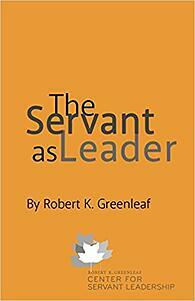 Robert Greenleaf is widely recognized as the father of modern servant leadership. 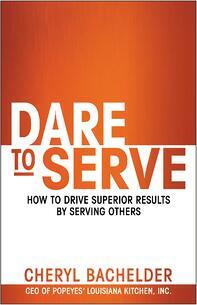 The Big Idea: Service ought to be the distinguishing characteristic of leadership. 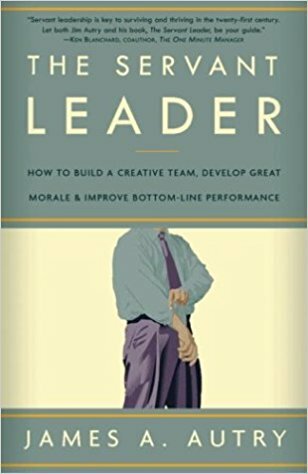 Greenleaf claims that the two roles of servant and leader can be fused in one real person, and can become productive in the real world, in fact, more productive than many other leadership principles. 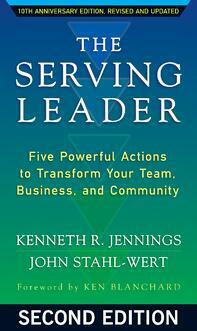 Find the book at The Center For Servant Leadership or on Amazon. 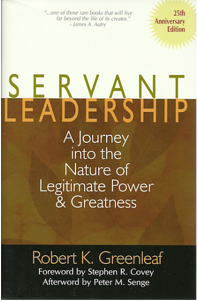 This book picks up where The Servant as Leader left off. With a foreword by Stephen R. Covey and an afterword by Peter Senge, this book is considered the bible of modern servant leadership. In addition to main principles, it has chapters on how to implement servant leadership in businesses, educational institutions, foundations, and churches. Contrary to popular belief, Greenleaf's Aha! moment on servant leadership did not come from Jesus, but rather from this obscure book by the German novelist Hermann Hesse. Written as a novel but autobiographical in nature, Hesse describes a mythical expedition in search of the elusive “League.” On this trek, Hesse meets a man named Leo who carries luggage and does menial chores. When Leo disappears, the expedition falls into disarray. 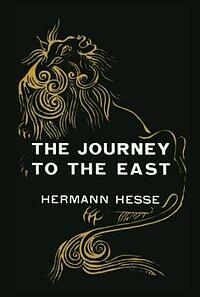 After decades of searching, Hesse finds Leo—and discovers he was the leader of the League. The Big Idea: Leo was a great leader all along, but the members of the expedition couldn’t see it. Once Hesse opened his eyes, the truth of servant leadership stared him in the face. That opened Robert K. Greenleaf’s eyes, too. This parable from bestselling authors and leadership experts Ken Blanchard and Mark Miller describes a manager who encouters challenges that make her rethink what it means to be a true leader. She learns from a mentor tho teaches her the power of SERVE. E = Embody the Values. Find the book on the Berrett-Koehler bookstore or on Amazon. This book describes the turnaround that former CEO Cheryl Bachelder led for Popeyes Louisiana Kitchen, the company behind Popeyes Chicken. Unlike many servant leadership books that are long on theory but short on practice, Dare to Serve focuses on implementation, even in the most trying circumstances. The Big Idea: Servant leadership is not just for softies who want to optimize relationships at the expense of results. Cheryl proves that servant leaders can balance people, purpose and principles to produce outstanding results. 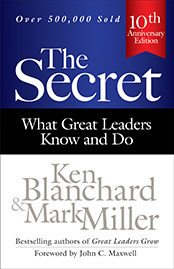 In the foreword, Ken Blanchard called this book “the most practical guide available to implementing servant leadership in your life and work.” The fable describes a son who takes over a business from his dying father, who teaches him five key servant leadership actions. 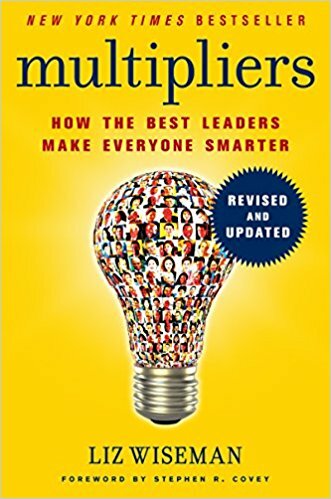 From bestselling author and leadership expert Liz Wiseman, this book introduces two leadership types: those who are “Multipliers,” who give coworkers energy and strength, and those who are “Diminishers,” who drain energy, intelligence and capability from their colleagues. The Big Idea: Multipliers are servant leaders who can help to transform recalcitrant and accidental Diminishers to become Multipliers themselves. Author and business coach James Autry provides practical advice to 1) offer guidance during conflict and crisis, 2) assure continued growth and progress as a leader, 3) train managers in the principles of servant leadership, and 4) transform a company with morale problems into a great place to work. The Big Idea: How managers can remain true to the servant leadership model in the face of difficult day-to-day and long-term management challenges. 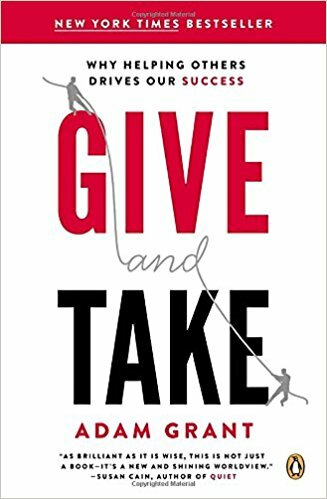 Bestselling author Adam Grant describes three broad interpersonal styles: taking, matching, and giving. Takers are self-oriented who try to take more than they give. Matchers are those who try to give and take in reciprocal amounts. Givers are other-oriented who try to give more than they take. The giver style is the most aligned to servant leadership. The Big Idea: Givers can either be very happy and successful, or very unhappy and unsuccessful. Takers and Matchers tend to be moderately happy and successful. Grant shows Givers how to optimize happiness and success. So there you have it, my first reading list for servant leaders! I suggest reading them in the order presented. Figuring four hours to read each per book, and one book per week, you’ll complete this 40 hours of servant leadership training in ten weeks! I know some of you may wonder why I didn’t mention the Bible. As a preacher’s kid (of the Methodist and ecumenical persuasion), I have a lot to say on this subject, but I’ll address that in a later post. Hope you enjoy reading these must-read servant leadership books. Please share your thoughts on these and other books about servant leadership you want to recommend on our Servant Leadership Facebook Group or below in the comments!